We love our essential oils like lavender, peppermint, tea tree, sandalwood, lemon and chamomile. These essential oils are used in many ways that have the potential to help us live healthier and happier lives. They are created by a distillation process, typically by steam, from the bark, leaves, seeds, roots and flowers of plants. But did you know that many essential oils, when used directly without dilution on our bodies, can cause irritation and negative reactions to our skin? To “carry” the benefits of an essential oil to our bodies, we need quality, organic carrier oils that will dilute the intensity of the essential oil so that it’s beneficial to our system and can be utilized more effectively. A carrier oil is a vegetable oil derived from the fat-laden portion of a plant, typically from the seed, kernel or the nut of the plant. Some of the most common carrier oils are ones we have probably used more times than we realize: avocado oil, macadamia oil, jojoba oil, olive oil, grapeseed oil, sesame oil and coconut oil (even shea butter) to name a few – all great carrier oils. Each oil has different beneficial actions for use within a body care application. Want beautiful skin? 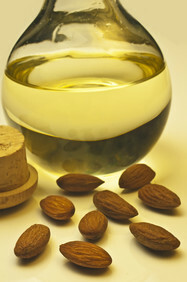 Reach for jojoba based products as it is most like the sebum on our skin. Want to fight aging and wrinkles? Search out a facial serum with avocado oil or Evening Primrose oil. Need deep skin penetration for a therapeutic action? 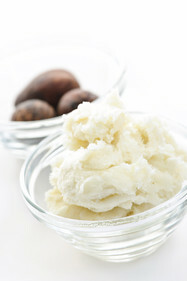 Find a product with a castor oil base. Keep in mind that not all oils are good carrier oils. It’s imperative to use plant-based oils as opposed to petroleum-based oils, such as mineral oil, which contain chemical and carcinogenic constituents. Keep it pure and simple, and organic whenever possible. Choose cold-pressed oils as the process preserves the quality of the oil, and the less refinement of the oil, the better. 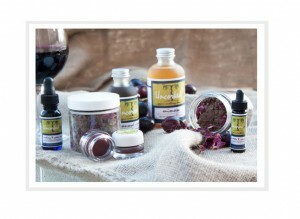 Ingredients and bottles can be found at your local health food store or on-line at MountainRoseHerbs.com. Combine all ingredients and pour in to a glass dropper bottle, preferably a dark-color, to protect the serum. To use, place a few drops on your fingertips then blend lightly onto freshly washed skin. Use morning and at bedtime to nourish and regenerate skin. Considering all that carrier oils do, it can be said that they are as important as the essential oils themselves. So next time you use your favorite body care product containing those beautiful and beneficial essential oils, give a little nod to the hard-working carrier oil as well. It’s a love match.